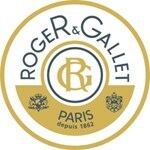 Roger&Gallet offers a natural touch of emotion and luxury everyday. The know how of a perfumer apothecary since 1862. Inspired by the original Eau de Cologne Jean Marie Farina, supplier to Napoleon I, the creations of Roger&Gallet result from an authentic know-how of distillation of rare natural ingredients.